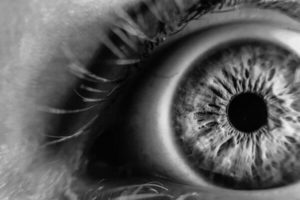 In early 2017, a news outlet reported of a rare type of cancer diagnosable by simply looking at photographs of the eye. This rare cancer is retinoblastoma. The American Academy of Ophthalmology (AAO) define retinoblastoma as a “cancer of the eye. It begins in the retina, the layer of nerve cells lining the back of the eye. It happens when nerve cells in the retina change, growing in size and number. The cells eventually form a tumor, and these cells usually spread in and around the eye.” Like most cancers, these malignant cells can spread to other parts of the body. Retinoblastoma is also the most common form of eye cancer in children. The American Cancer Society (ACS) says that only 200 to 300 children are diagnosed with it annually in the country. Meanwhile, it affects about 45 children in the UK every year. It is more common among infants and toddlers than in older children. Among all retinoblastoma patients, three out of four cases has the disease in one eye. On the other hand, one out of four cases have the cancer in both eyes. When the cancer is only in one eye, the children are often diagnosed between the ages of two to five. When it affects both eyes, children are often diagnosed within their first year of life. It seldom occurs in children older than six. While it may be very alarming to find out that your child has retinoblastoma, the good news is that about nine out of ten cases were curable. It will only be tricky if the cancer was detected later on and if it has already spread to other parts of the body. The body develops in the womb during pregnancy. During this developmental stage, cells called retinoblasts divide to create new cells in the eyes to fill the retina. At some point, the cells would stop dividing and growing, and would develop into mature retinal cells. These retinal cells would become instrumental in helping the babies see, as these cells can detect light. In cases of retinoblastoma, these cells do not mature into their full role. Instead, some of them continue to divide and grow, which therefore creates a tumor. These cancerous cells almost always start with the mutation of the RB1 gene. Depending on when and where this change occurs is instrumental in determining the kind of retinoblastoma a patient has. Two out of three children have sporadic retinoblastoma. This means that the RB1 gene stops functioning as it should in only one eye. As in most cancers, it is still unknown as to what causes the gene to change. However, this does mean that only one eye is affected in the patient. Patients also do not have an increased risk of getting cancer in other parts of their body later on in their lives. On the other hand, one in every three cases of retinoblastoma is hereditary. This kind of mutation is also known as germline mutation, which indicates that the mutation is present at birth and is therefore present in all cells of the body. Surprisingly, the majority of children with retinoblastoma has no family history of retinoblastoma. In fact, only 25% of documented cases have inherited it from a parent. In 75% of the cases, the gene mutation occurs during early development in the womb. Unfortunately, children with hereditary retinoblastoma develop what is known as bilateral and multifocal retinoblastoma, which means that the cancerous cells are present in both eyes, and that there are several tumors within the eye. Since these children have the mutated gene in all cells of the body, they are at higher risk of developing cancers in other parts of the body. Some of them will develop a brain tumor known as trilateral retinoblastoma or a tumor in the pineal gland at the base of the brain. For those who survive the disease, they are at risk of developing other cancers as they grow older. Many parents were able to determine that something is wrong when they take pictures of their children with the flash on. When light is shone in the eye, such as with the flash or by using a small flashlight, there is a white color in the pupil or the center circle of the eye. In some cases, it becomes evident if both the eyes have turned white or if there is one normal eye (or red eye), and one white eye. In some cases, the retinoblastoma has completely spread to the majority of the cells in the eye, rendering a child blind. Children seldom complain of pain in this kind of cancer. When should I bring my child to see a doctor? Immediately bring your child to a doctor if you see anything odd in the eye that concerns you. Take note, however, that retinoblastoma is a very rare form of cancer. Your pediatrician may first rule out more common eye ailments before looking at retinoblastoma as a suspect. On the other hand, if you have a family history of retinoblastoma, then immediately tell your pediatrician upon the first consult. Find out when your child should start routine eye exams to determine if they have retinoblastoma. As with many kinds of cancers, retinoblastoma can be treated if it is detected early on. It has a high curability rate, as nine out ten cases are typically cured. However, if your child has hereditary retinoblastoma, then you should talk to your doctor about how to proceed after the cancer has been defeated, as your child may develop cancer in other parts of the body later on. Retinoblastoma should never be taken lightly since it can lead to blindness. If you need more information on reducing retina-related cancer risks, feel free to read our blog or consult your trusted physician. For information on alternative cancer treatments, contact us today or fill out our online form.